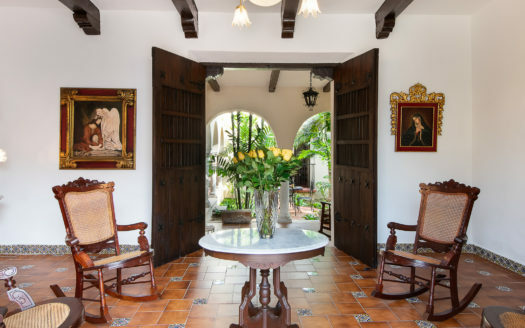 This is your chance to experience the REAL Merida! 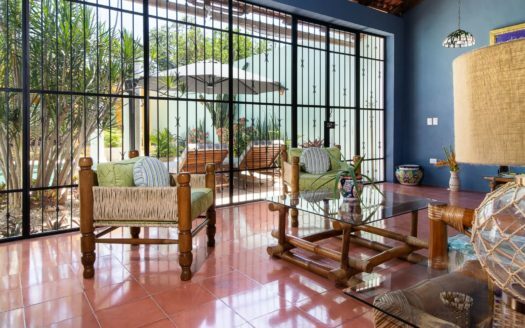 The comfortable home is located on the lovely square of San Sebastian, one the most authentic and least touristy of all Merida’s squares. Here you can truly feel a part of the community. While “gringo gulch” is blocks away, this location is an easy walk to La Ermita, another of Merida’s lesser known jewels. The Plaza Grande and Parque Santiago are only a little further on. San Sebastian also has its own small mercado which makes shopping a breeze. 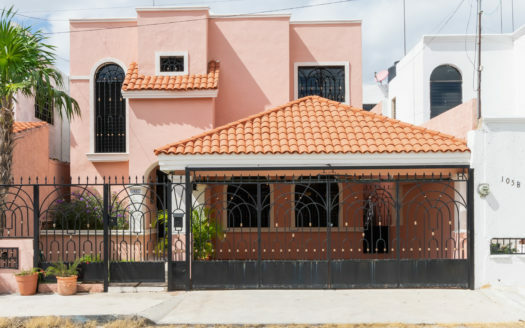 Casa Ceniza has three full bedrooms, each with full bath Not only are those three rooms air conditioned, but the living room also has air conditioning, making virtually the entire living space cool and comfortable year round. 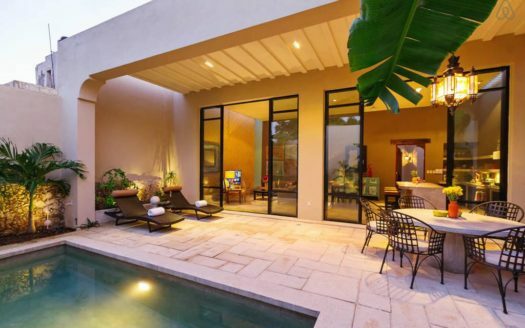 There is a spacious eat-in kitchen as well as another eating area under the covered terrace in front of the pool. And if those weren’t enough choices for relaxing and dining, there is also a roof terrace with comfortable lounge chairs…great for sunning and, later in the evening, relaxing under the stars. Perfect for either holiday or longer term rentals, the home has been very recently remodeled and everything is new and comfortable!